Interactions among humans are always very complex and the outcomes of their interactions can be unpredictable. Subsequently, when a group of people are required to come together as a team for the purpose of accomplishing common goals, there is potential for either great success or great failure. When individuals are separated by distance, as is the case in virtual teams, interaction is mediated by technologies and presumably this leads to a greater level of interaction complexity and presents a greater challenge to leaders and managers. In effort to meet the challenges of globalization and the digital age, many organizations are shifting from hierarchical top-down organizational structures to the flatter organizational structures afforded by team-based approaches. Driven by the need for global business and the great array of Web 2.0 technologies, effective leadership in virtual teams is now an important consideration for leaders. The basis for enactment of effective leadership in virtual teams must be an understanding of the nature of virtual teams. The author's rationale for the writing the present chapter is thus to highlight major features of virtual teams and to bring to the fore core issues related to these features which impact significantly on team performance. A team can be loosely defined as a group of two or more people with complimentary skills working together to meet a common goal. The complex interactions occurring among the members of a team are a key determinant of team success, and leading teams to success can present a challenge. In the worst case scenario the team interactions break down to a point at which achieving the goal becomes impossible. On other hand, the pooling together of knowledge, skills and ideas of a group of people, or collective intelligence of the team, is instrumental in addressing complex problems and achieving complex outcomes which would otherwise be too great for any single individual to handle. Of course, although teams are important, if not necessary, for addressing complex problems, establishing a team-based organization is not straightforward nor easy. The “logic” of team based organizations is quite different to that of traditional hierarchical organizations (Mohrman & Quam, 2000). In traditional hierarchical organizations the unit of performance is an individual, whereas in team based organizations, it is the team which is the unit of performance. The challenge is then to ensure there is both cohesiveness among team members such that they are working as a unit, and also that there is communication and co-ordination among team units in order for the various units to work together for the benefit of the organization (Mohrman & Quam, 2000). As if establishing teams and creating conditions for team building and ongoing team effectiveness are not difficult enough, today’s organizations are facing yet another necessary challenge: virtual teams and oftentimes global virtual teams. Virtual teams are groups of individuals working to a common goal across space, time, organizational boundaries, and sometimes across cultural boundaries. The impetus for the formation of virtual teams is driven largely by Web 2.0 technologies which have enabled various forms of synchronous and asynchronous interactions among individuals and organizations outside local confines. A driving force for globalization, Web 2.0 technologies have dramatically changed the nature business and the interactions among both businesses and consumers. Organizations today cannot afford to ignore the rest of the world and the implementation of virtual teams within organizations is often not a matter of choice but rather a matter of necessity for survival. 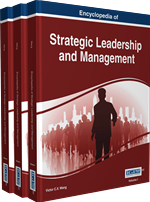 Against such a background, strategic leaders and managers are now confronted with envisioning and strategy development within a more distributed model of organizations. Building and sustaining effective teams in such an environment must proceed on an understanding of the nature of virtual teams. The author’s rationale for the writing the present chapter is thus to highlight major features of virtual teams and to bring to the fore core issues related to these features which impact significantly on team performance. Virtual Team: A group of individuals cohesively working towards a common goal. Team members are dispersed in one or more ways (geographical, temporal, organizational, cultural) and, importantly, has a degree of dependency on technology for communication (Zigurs, 2003 AU22: The in-text citation &quot;Zigurs, 2003&quot; is not in the reference list. Please correct the citation, add the reference to the list, or delete the citation. ). Media Richness Theory: A media’s ability to faithfully reproduce the information being conveyed without any distortion or loss. Tuckman Model: A model of team formation created in 1965 (later revised in 1977 by Tuckman and Jensen). According to the Tuckman model ( Tuckman, 1965 ), when the team lifecycle goes through four stages of development: forming, storming, norming and performing. Collective Intelligence: The insights or knowledge that arises as a result of collaboration and consensus among groups of diverse individuals. Task Interdependence: The extent to which a task requires interaction of the entire team. Conventional Team: A group of individuals generally co-located and cohesively working towards a common goal. Communication is predominantly through face to face, physical means. Shared Mental Model: All members of a team have a common understanding of the task and what needs to be done to achieve that task.